When I was approached about becoming a teacher, the thought overwhelmed me. I have no idea how to shoot or edit video! But I love talking about food and teaching others how to make it. So I asked tons of questions and received lots of support from the people at Skillshare. They told me the best way to start out as a teacher is to do their monthly challenge. For the challenge, new teachers in all categories submit their first class and whoever gets the most people enrolled, wins! Moreover, Skillshare provides milestones each week that will help you meet your goal of publishing your first class. That’s really what hooked me. I liked the idea that I would be held accountable to a timeline. Otherwise, who knows when I would have found the time to do this. I decided to teach a class on croissants. After all, it’s what started the blog in the first place. I talk more about that here. It’s been a long process but I’ve finally finished filming and editing the class and published it yesterday!! The first 20 people to sign up with this link get access to my class FOR FREE! If all the free enrollments are gone or if you want a three-month premium membership, which will get you access to all the Skillshare classes – crafting, photography, cooking, you name it – you can get access for only $0.99 by using this link. I get commission for every person who signs up for a premium membership so thank you so much for supporting my passion! As I mentioned above, I am competing in a monthly challenge for new teachers. Whichever new teacher gets the most people enrolled into their class, gets a $1,000 gift card! Please share this link with any of your friends who’ve been wanting to try croissants but never had the confidence to try. I promise you’ll see how easy they are and feel empowered to try for yourself. 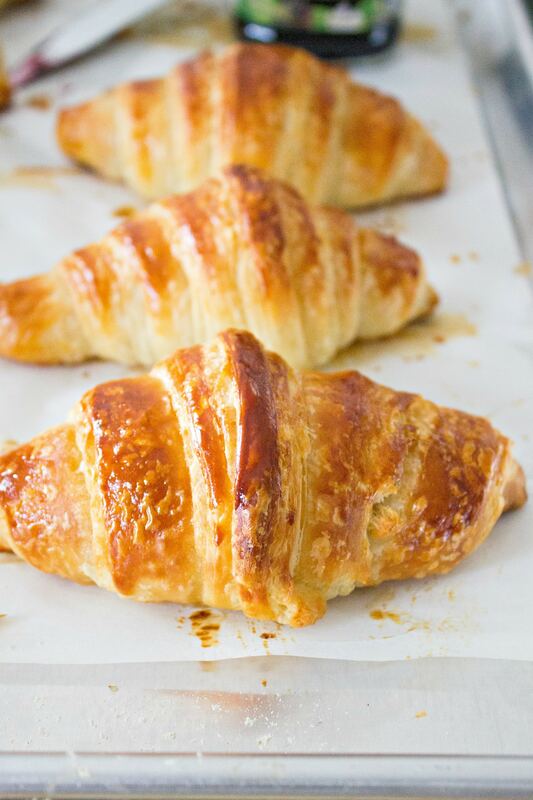 Since you guys are so wonderful, I can’t leave you hanging without some tips on making these croissants – you know how much I love giving ya’ll tips! They are really not that difficult to make! I swear! They just take time. You need to give yourself about 3 days to get them done since the dough needs to rest overnight a couple times. Read every step carefully! I can’t tell you how important that is. The steps are sooo detailed so you need to understand what you’re going to accomplish with each step. Whenever cold ingredients are required, make sure they are really cold – straight-from-the-fridge cold. 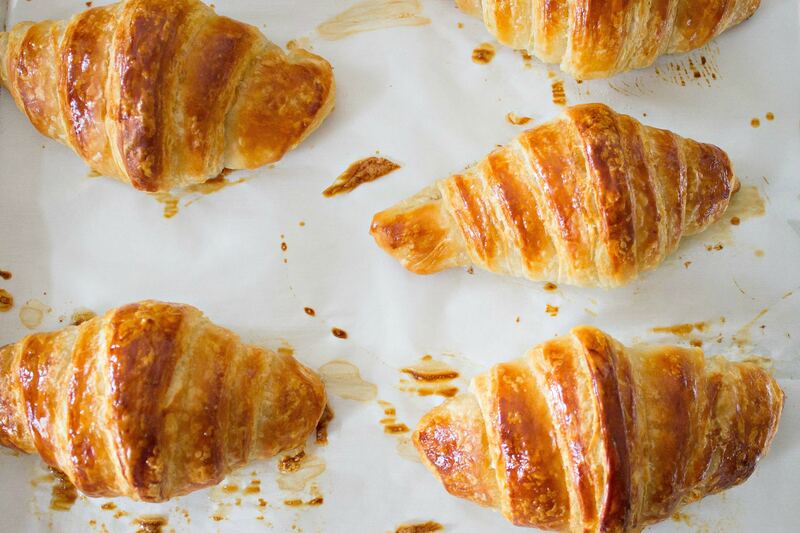 Cold ingredients are key to getting a crispy, flaky croissant. 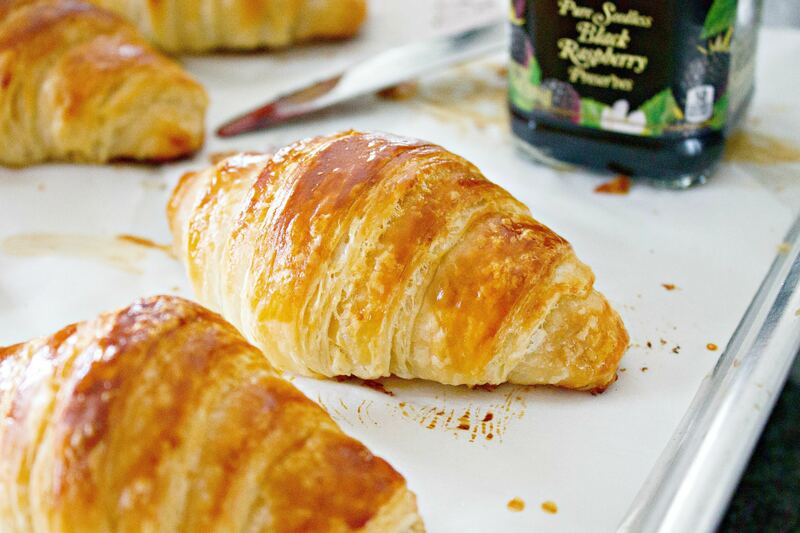 You can add any filling to these croissants. After you finishing making the triangles, but before you roll them, add whatever filling you want to the short side of the triangle. and then roll them up. You don’t need to have a stand mixer to make the dough. You’ll just have to mix and knead by hand. If I could only recommend one special tool for making croissants, it would have to be a rolling pin. There is absolutely no way I could make these croissants comfortably if I didn’t have my rolling pin. You will use it A LOT! Add all dough ingredients to a stand-mixer fit with a dough hook attachment. Mix on low for 3 minutes. Then, turn the speed to medium and knead for 3 minutes. Once combined and kneaded, remove from bowl and form a round ball. Place on a large, floured plate and cover with plastic wrap. Not too tight or the dough won't grow, but not too loosely or it will dry out. Refrigerate overnight or for at least 8 hours. The next day, cut a large piece of parchment paper and place it on your work surface. Grab the cold, unsalted butter to prepare the butter layer. Cut the butter length-wise into 1/2 inch slabs. 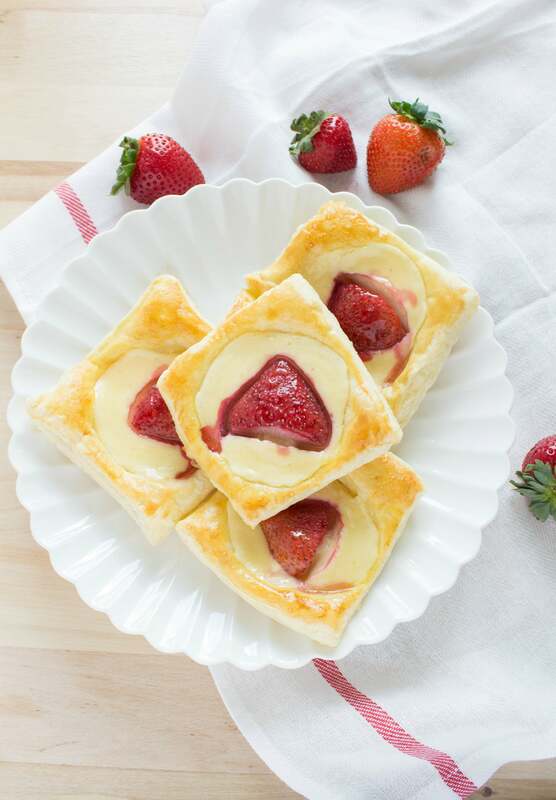 Arrange the pieces on top of the parchment paper in the shape of a square about 5 1/2 inches x 5 1/2 inches, cutting the butter, as necessary, to fit. Place any cut pieces on top of the square. Place a second piece of parchment paper on top of the bottom so that the butter is in between the two pieces of parchment. Using your rolling pin, slowly, yet firmly, roll out the square so it is now 7 1/2 x 7 1/2 inches. Trim any edges so they are straight and place trimmings on top. Pound them in with the rolling pin. Refrigerate the butter layer while you roll out the dough. Grab chilled dough from the refrigerator and unwrap it. Flour your work surface so the dough does not stick. Place dough on surface. Roll dough out to a 10 1/2 inch square. Brush off excess flour. Grab butter from the refrigerator. It should be pliable but cold. Refrigerate longer if needed. Unwrap and place butter in the center of the square, with each point of the butter square in the middle of each edge of the dough. The dough should look like a square and the butter layer will resemble a diamond-shape. Fold one flap over the butter towards you until the dough reaches the center of the butter layer. Repeat with other three flaps so that the butter is fully enveloped in the dough. Seal the edges so the butter won't escape when we roll it out. Now we will roll out the dough to begin creating the layers. Lightly flour the top and bottom of the dough. Using the rolling pin, press firmly on the dough and begin elongating it. Focus on lengthening it instead of widening it. Soon, the butter and dough layers will begin to combine and it will be easier to roll out. Roll until the long side is 24 inches and the short side is 8 inches. Now, fold one of the short ends about 1/3 of the way. Fold the other side over the first folded side so that the dough resembles a folded letter. Put the dough back on the floured plate and completely cover with plastic wrap (no edges exposed to air). Freeze for 20 minutes to relax the dough. Remove chilled dough from freezer. Repeat rolling and folding process from the previous step, but this time, roll in the direction of the open ends. Freeze another 20 minutes. Repeat one last time. Place folded dough back on floured plate and into the refrigerator overnight or at least 8 hours. The next day, remove the dough from the refrigerator. Lightly flour your work surface. Place dough on work surface. Roll into the direction of the open ends, focusing on lengthening. Roll out until the dough is 8 x 44 inches. If the dough begins to get sticky (especially on the bottom), sprinkle it with flour. Once it's the desired length, trim off 2 inches from the ends to make them completely straight. The dough should now be 8 x 40 inches. Discard trimmed dough. Lay a yardstick or measuring tap along the top of the rectangle of dough. Using a paring knife or pizza cutter, make a small cut in the dough every 5 inches. You should have 7 cuts. Then, place the yardstick or measuring tape at the bottom of the dough. Make a cut at the 2 1/2 inch mark. Now, make a cut every 5 inches from that nick. You should have 8 cuts that fall halfway between the marks on the top of the dough rectangle. Make a diagonal cut from the first top mark to the first bottom mark using a pizza cutter. Now, do the same for the first bottom mark to the second top mark. Repeat for the remaining marks until you have 15 triangles. They should resemble isosceles triangles, for my math friends. Prep two baking sheets with parchment paper. Now we are ready to form the croissants. If you find that the bottom of the dough is sticky, use a paring knife to scrap it off the surface and flip it over. You want to make sure you smoothest side is facing out ward once the croissants are shaped. That means, you need to have the smooth side on the bottom and rougher side on top. Cut a 1/2 inch slit in the middle of the shortest side of the triangle. This will help give the croissants their shape. Pull on the point directly across from this slit to stretch the dough to 10 inches long. Starting with the short side, roll the dough towards the pointed end until the pointed end is on the bottom of the croissant. Slightly bend the ends of the croissant towards the middle to resemble a crescent. You can press the ends together if you want a distinct crescent shape but I always leave them not touching. Repeat with remaining croissants. Place rolled croissants on baking sheet so they are 2 inches apart. They will rise during proofing and also while baking so don't let them touch. Prepare egg wash by scrambling a raw egg with 1 teaspoon of water. Brush all croissants with the egg wash. This will give them their color and sheen. Refrigerate excess wash, as you will use it again. Let them proof in a draft-free spot. I always put them in my oven or a cupboard. They will need about 1 1/2 - 2 hours to rise. They will be jiggly and their layers will show when they are ready to bake. When there is about 20 minutes left for the croissants to finish proofing, turn on the oven to 425 degrees. Make sure the rack is in the bottom half of the oven. When they are done proofing, brush again with egg wash. Bake for 10 minutes in a preheated oven. Rotate and bake for an additional 8 minutes until deep golden brown. Let them cool for 10 minutes until eating. Serve with your favorite jam or preserves. Yes, if it just came out of the fridge/freezer, it will be hard to roll at first. But as you work with it, it will become easier to roll. Hope that helps! I can we freeze the dough? Yes. On the step before we form the croissants, I just freeze the dough for up to a month if I don’t need it. When you decide you want to use it, thaw in the fridge overnight. Let me know if you have any other questions! Yessss! They’re so light that you feel like you’ve only taken a couple bites and then it’s gone. So then I eat two more. Yikes! Honey sounds so good. I gotta try them that way!! You are so welcome! I go through my Francophile phases too! I’m drooling all over looking at these! I absolutely LOVE croissants! I signed up and plan to watch the course tomorrow. A perfect addition to my day off! I should have a croissant baking party with some friends! Yay!! I am so glad to have you in the class. Let me know if there is anything that needs further clarifying. I tried my best to break it down as much as I could but I would love any feedback that you’d like to share, good or bad. Thanks so much! Sharon, first off, CONGRATS on the upcoming class…wahoooo!!!! Secondly, you have stolen my heart with this recipe! 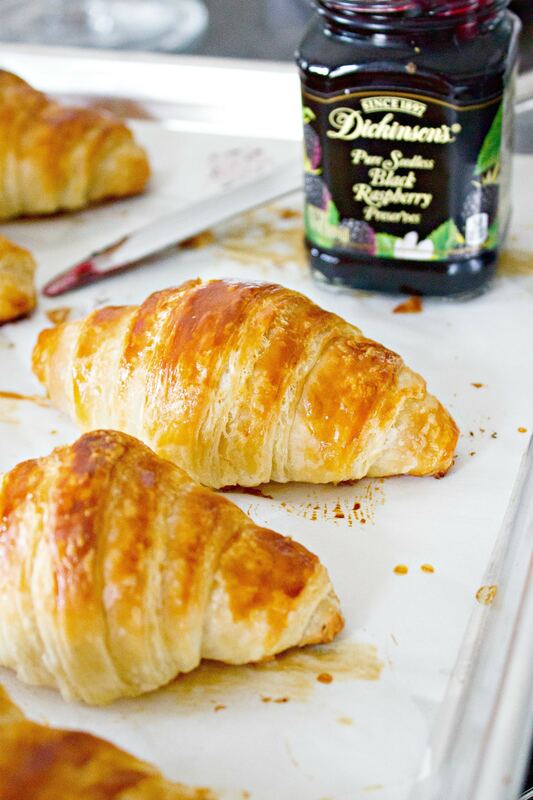 I loooove Croissants, so you bet I will be trying them asap! Melissa you are so sweet! Thanks so much! It feels so good to have it published FINALLY! I am so glad you like the recipe. I’ve made them a bunch of times so I know you’re gonna love how amazing they come out. Let me know if you have any questions! That’s a lot of work, but an amazing payoff I’m sure! I love warm croissants with strawberry preserves!! Oh for sure! So rewarding to make something that takes so much work and turns out so well. I know right?! But it’s totally worth it. It’s such an empowering feeling to know you can make something so intricate and delicious. Oh wow these look so good!! And congrats on the Skillshare class..I plan on trying the October challenge 🙂 I’m nervous too about the whole editing video thing too..thanks for the inspiration! These look amazing (and the photography is fabulous!!!). You’ll be a GREAT teacher! Thank you so much!! I really love it. You guys should consider doing a class too! I was looking for a classic croissant recipe. Croissants are my weakness. Pinning it. 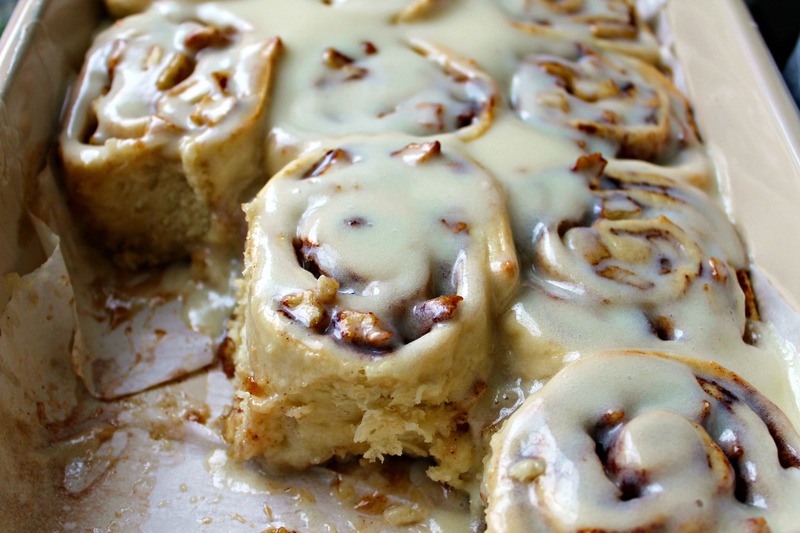 Holy cow, these look divine! My mouth is salivating at these photos. Woohoo! Thanks for stopping by! Yay! Thanks for stopping by, Tammy! Peach jam sounds perfect for these! I love apricot preserves but peach will be better because of the extra sweetness in peaches. Yummm!! I want these right now. Pinned to make soon – these are my love language! Add that jam, and I am sold. Nothing like a warm croissant freshly made and dripping with butter and honey. OMG yesss! I need to eat them with honey. Why have I never done that?! I will have to try this recipe in the next couple of weeks! Yesssss! Let me know how they turn out! these look delicious!!! love all of your recipes! So my mouth is watering from your site! I love this recipe and didn’t even think I could make them myself! Thanks for sharing! You’re so welcome!! Thanks for the kind words. If you’ve ever made a pie dough, it’s really not that much more of a step up. A few more steps but you’ll be able to handle it. Hope you try it out one day!